Rezira is used for relieving congestion and cough due to colds, flu, or hay fever. It may also be used for other conditions as determined by your doctor. Rezira is a decongestant and cough suppressant combination. It works by constricting blood vessels and reducing swelling in the nasal passages. This allows you to breathe more easily. The cough suppressant works in the brain to decrease the cough reflex to help decrease a dry cough. you are allergic to any ingredient in Rezira or any other codeine or morphine related medicine (eg, codeine, oxycodone). This may not be a complete list of all interactions that may occur. Ask your health care provider if Rezira may interact with other medicines that you take. Check with your health care provider before you start, stop, or change the dose of any medicine. Use Rezira as directed by your doctor. Check the label on the medicine for exact dosing instructions. Take Rezira by mouth with or without food. If you miss a dose of Rezira, take it as soon as possible. If it is almost time for your next dose, skip the missed dose and go back to your regular dosing schedule. Do not take 2 doses at once. Ask your health care provider any questions you may have about how to use Rezira. Rezira may cause dizziness or drowsiness. These effects may be worse if you take it with alcohol or certain medicines. Use Rezira with caution. Do not drive or perform other possibly unsafe tasks until you know how you react to it. 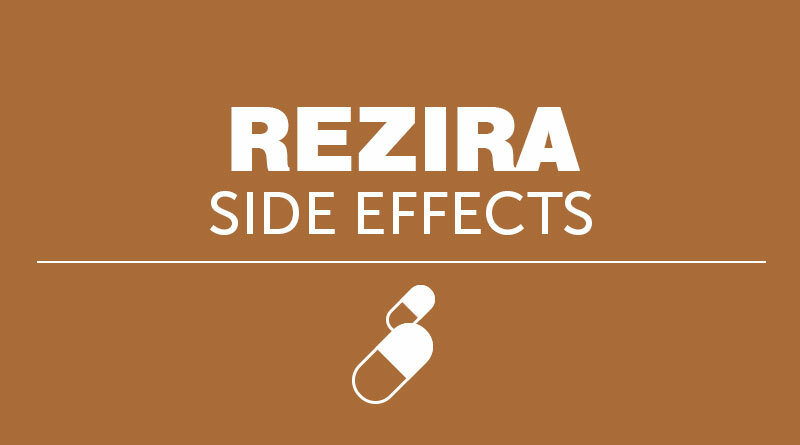 Do not take appetite suppressants while you are taking Rezira without checking with your doctor. Rezira has pseudoephedrine in it. Before you start any new medicine, check the label to see if it has pseudoephedrine in it too. If it does or if you are not sure, check with your doctor or pharmacist. If your symptoms do not get better within 5 to 7 days or if they get worse, check with your doctor. Rezira may interfere with certain lab tests. Be sure your doctor and lab personnel know you are taking Rezira. Tell your doctor or dentist that you take Rezira before you receive any medical or dental care, emergency care, or surgery. Use Rezira with caution in the ELDERLY; they may be more sensitive to its effects. Rezira should be used with extreme caution in CHILDREN; safety and effectiveness in children have not been confirmed. PREGNANCY and BREAST-FEEDING: If you become pregnant, contact your doctor. You will need to discuss the benefits and risks of using Rezira while you are pregnant. It is not known if Rezira is found in breast milk. Do not breast-feed while taking Rezira. Dizziness; drowsiness, excitability; headache; nausea; nervousness or anxiety; trouble sleeping; weakness. Severe allergic reactions (rash; hives; itching; difficulty breathing; tightness in the chest; swelling of the mouth, face, lips, or tongue); difficulty urinating; fast or irregular heartbeat; hallucinations; seizures; severe dizziness, lightheadedness, or headache; severe drowsiness; tremor. Contact 1-800-222-1222 (the American Association of Poison Control Centers), your local poison control center, or emergency room immediately. Symptoms may include blurred vision; confusion; hallucinations; seizures; severe dizziness, lightheadedness, or headache; severe drowsiness; unusually fast, slow, or irregular heartbeat; vomiting. Store Rezira at room temperature, between 59 and 86 degrees F (15 and 30 degrees C). Store away from heat, moisture, and light. Do not store in the bathroom. Keep Rezira out of the reach of children and away from pets. If you have any questions about Rezira, please talk with your doctor, pharmacist, or other health care provider. Rezira is to be used only by the patient for whom it is prescribed. Do not share it with other people. This information is a summary only. It does not contain all information about Rezira. If you have questions about the medicine you are taking or would like more information, check with your doctor, pharmacist, or other health care provider.